Is the strap available in other colours and sizes? 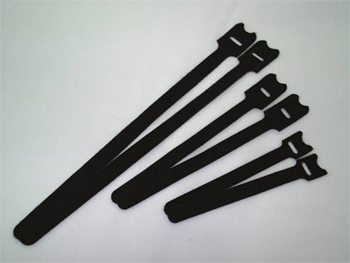 Straps are available in 5 different lengths from 20cm to 2 metres. The colours available for each size are listed on the products page. They include white, black, blue, luminous red and olive/camouflage. Is the Gotcha weather proof? The Gotcha will stand up to punishment from all weather and depending upon its application will last for years. How strong are the Gotchas!? 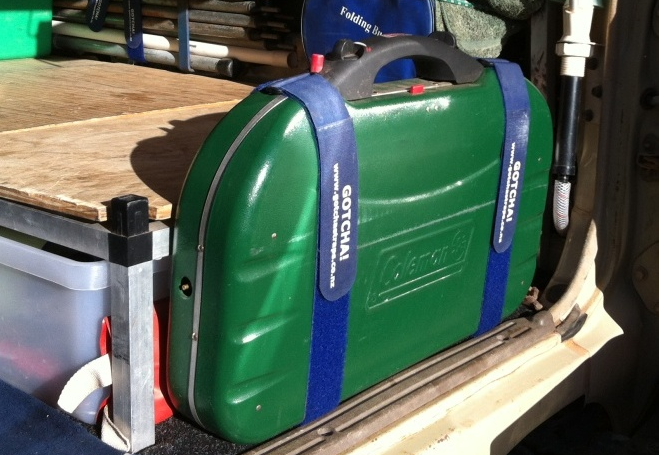 We have had the straps tested by SGS New Zealand Ltd. 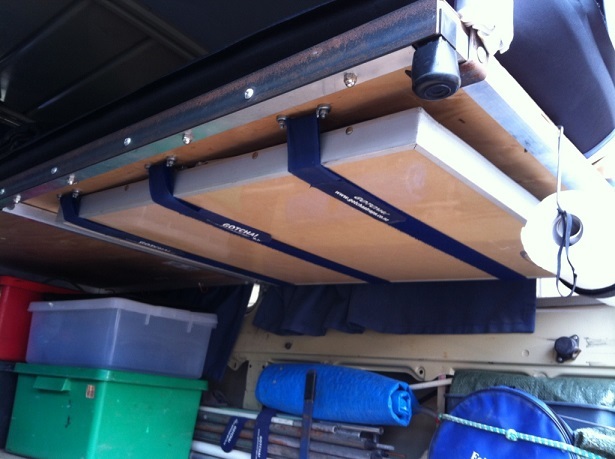 The result of the tests were that the ultimate load bearing of the 25mm wide straps was 60kg and the 50mm wide strap was 130kg. 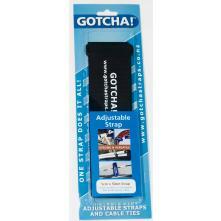 Can the Gotcha Straps be attached together? Yes they can. To double the length of the strap just slip the tongue through the buckle of the first strap and fold it back onto the loop section of the strap. Can I have my own logo on the strap? For large quantity orders we can arrange to have your straps printed with your own logo. This does take several weeks to arrange. Shipping in New Zealand is free for orders over $30. Orders that are under $30 cost a flat fee of $4.50. We also ship to Australia at a flate fee of $10 per order. Orders to Australia that are over $50 will be freight free. We do our best to despatch orders on the same day they are received. Orders paid via direct deposit are despatched on receipt of funds, or on receipt of a screen shot of your deposit.